I have bought quite a few patterns recently. But I can't help it! 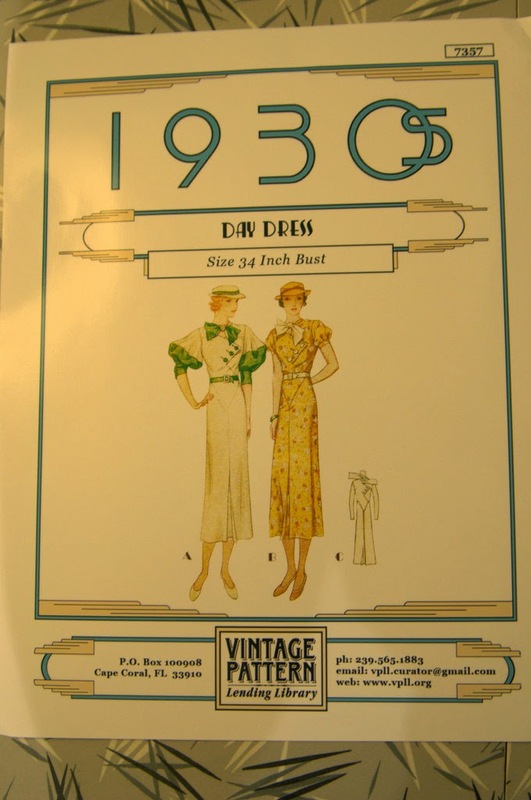 I want to wear all the 30s things so I need to sew all the 30s things which means I have to have all of the 30s patterns. Or that's what I tell myself anyways. McCall 9242 is a darling two piece dress with several cute sleeve options. And it's a very early printed pattern which surprised me when it arrived. The next four I bought in a lot on ebay and got a pretty good deal. 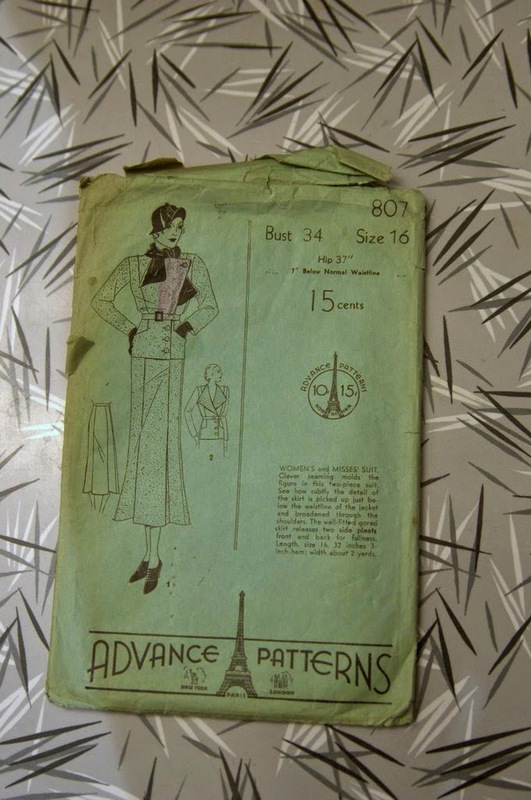 Advance 807 is a fab 30s suit pattern. McCall 2802 is a cute dress pattern with options for short or long sleeves. 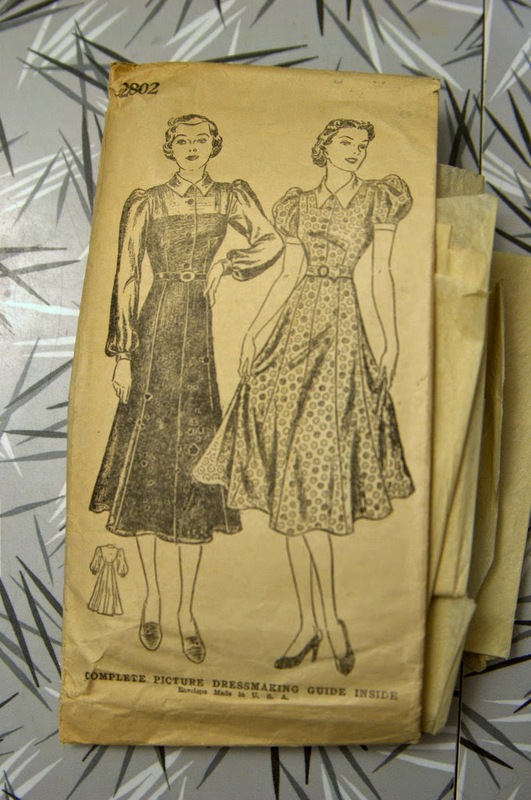 It has an unusual envelope so I think it must have been a mail order or correspondence dress making course pattern. Simplicity 2760 is missing the skirt pieces but seeing as it's very similar to McCall 2802, I can easily switch out the pieces. I'll just need to draft up a waistband. 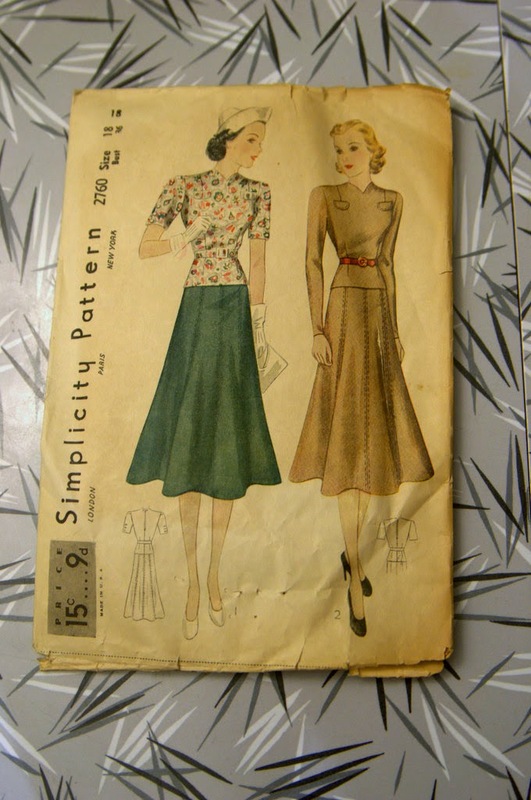 Simplicity 1936 was the pattern I was most interested in! A darling 30s playsuit! It's missing the shorts waistband and the little button plackets for the shorts but since they look similarly shaped to the button placket on the blouse, they shouldn't be too hard to draft up. I also did some shopping at the Vintage Pattern Lending Library! The skirt I've already sewn up and I can't wait to tackle the dress! The bodice has such great details! And some more exciting news on the sewing front, I have a serger! :) It was given to me quite a while ago but I never got around to getting it work. I finally bit the bullet and bought the supplies I needed to get it working. Yay! 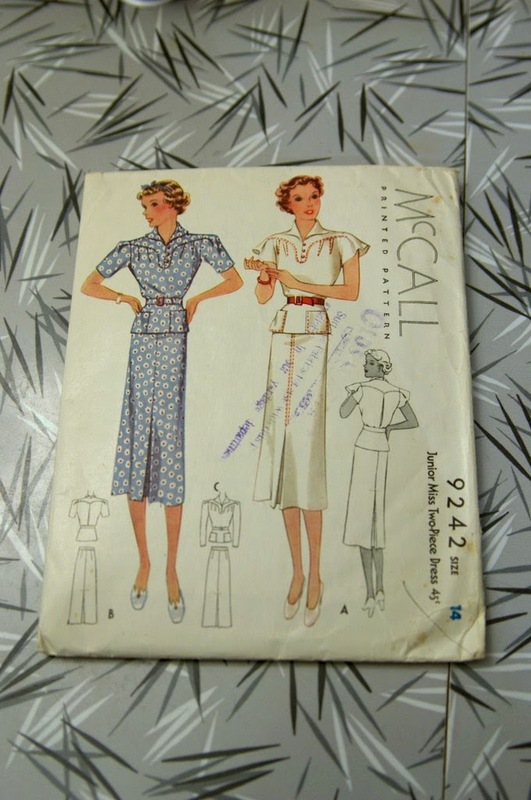 The pattern McCall 9242 is the two pieces kind i've always been searching for but never could get my hands on unfortunately! Even not a pattern, you're super lucky to have found this one! Oh, the pattern is in there! It's just a printed kind like modern patterns rather than the perforated kind with just holes as is more common during the 30s. I actually already have fabric picked out for it! I can't wait to see your '30s wardrobe develop! This is my favorite vintage decade! You've got some lovely patterns here. I can't wait to see them made up. I know the wardrobe is going to be great, your such a great seamstress. Congrats on the serger too. I hope to have one soon.It always nice when people think of you and know you will definitely love the gift. These are all FANTASTIC patterns! And the vintage pattern lending library?! I need to check that out... right now. It's funny that we're both on a 1930s kick at the same time! I'm working on some 30s projects, and I can't wait to see yours, too! Great patterns! I really like the sleeves on the first one. 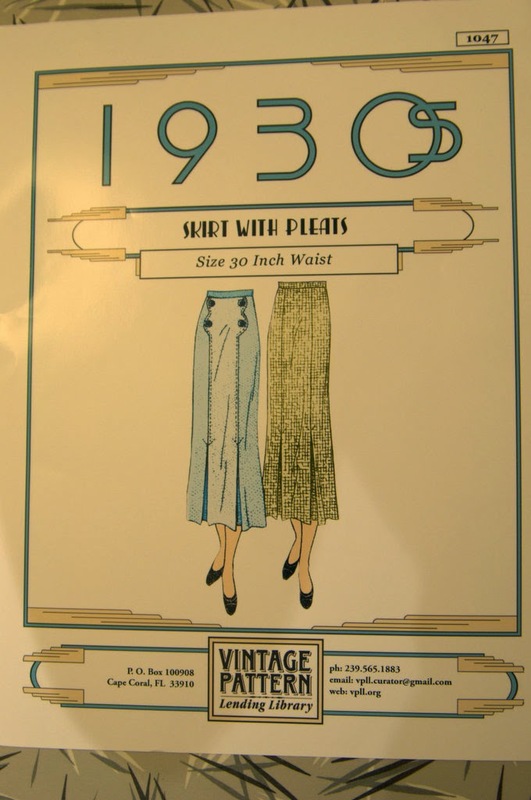 I love the 1930s but find the skirts for the first half of the decade a bit too long for my taste. I normally shorten them a few inches, which I find I need to do with most patterns anyway. :) My wedding dress pattern came from the VPLL. What gorgeous patterns!!! If it doesn't exist already, I swear someone needs to create a major tome of a book featuring nothing but vintage pattern art (and perhaps some info on each pattern of fashions from that era). What fabulous patterns! I can't wait to see what you do with them! Also congrats on the serger! I need to get my hands on one of those myself! Those patterns are so pretty!! I can't wait to see what you make. I own a serger, they're the greatest things ever!! 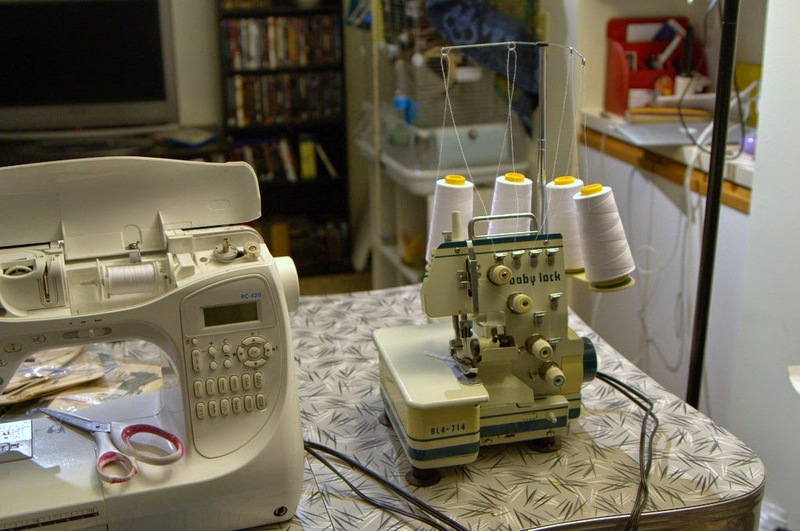 The serger is just so adorable! 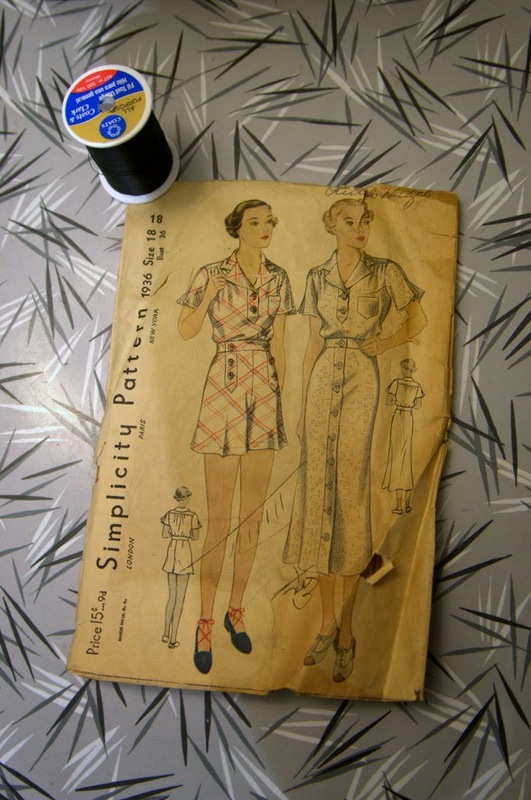 Someday, when I have time, I should lend you my 30s patterns to trace off, since I'll probably never make them.